Africa, the world’s second largest continent, is home to 54 countries and 1.23 billion people. Unfortunately, the continent is also the most economically-challenged in the world. Up until the 14th century, the technological and social advances of African nation states and communities were comparable to European and Asian countries. However, the slave trade destroyed the fabric of society there which they are still struggling to recover from, and the exploitation of natural resources by colonialists deprived the people of the wealth to grow along with the rest of the world. One of the important factors towards rebuilding Africa lies with education. Education helps increase income level, civic knowledge, technological growth and local enterprises. In the long run, education can help Africa stand on its own feet once again. If you feel compelled to make a contribution towards the many impoverished nations in the region, then please read on. The first thing to understand about teaching in Africa is that the wages are very low. Often times, in economically depressed areas, wages are not even paid. Instead, an allowance is provided for cost of living expenses. 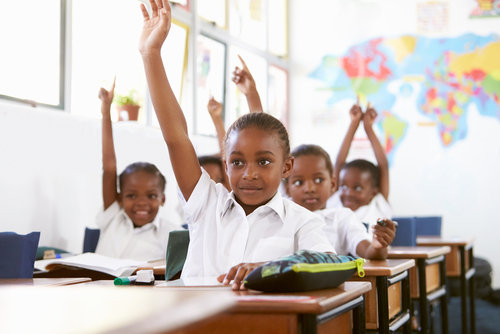 In more developed African countries, teachers are provided with an opportunity to earn English as a Second Language certification while teaching local school children. Some organisations, like Go Abroad and Projects Abroad, offer teachers the chance to earn international TEFL and TESOL certifications over a four week period while teaching in Morocco, Egypt and South Africa. Upon earning their certificates, the ESL teachers are the offered employment in the region at a normal pay rate. Other organisations also coordinate with local partners to provide teachers with similar opportunities while teaching in countries like Mauritania, Uganda and Tanzania. Not only do these programs allow teachers to earn ESL certifications and pad their resumes, they also help school going children improve their command of the English language. Schools in African countries, especially rural areas, are perennially understaffed, so they welcome teaching support all year long. If you are keen to teach in Africa and pursue ESL certifications, you should quickly contact similar coordinating agencies. The list of requirements is very low. As long as you are over 21 and a native English speaker, you can participate immediately. Salary : Unpaid to minimal allowance before earning certifications. Working Hours : Depends on individual countries; usually limited to half a day. School Year : long, depending on specific countries. Benefits : Free ESL certification. Before making a decision to teach in Africa, you must conduct extensive research to ensure that you will be prepared for the challenges there. You can expect hot and humid weather, unsanitary living conditions and civil unrest. If you are stationed in urban centres and cities, the standard of living improves dramatically. However, rural placement will be the opposite. In addition, safety is also a concern when posted in rural areas. In addition, please make sure you receive the necessary vaccinations before traveling. Your vaccination will protect you from the threat of contracting cholera,typhoid, hepatitis,rabies, and yellow fever, among others. Regulatory agencies : Please research the regulatory bodies in the country you are going in advance and prepare any required documentation. Keep the telephone number and address of the nearest British embassy or consulate in case of emergency. Cost of Living : NA. Climate : Africa is a huge continent, so it has a handful of varying climates. Generally though, you should be prepared for a humid and hot environment. Invest in a hat and sunblock to give your body and skin time to acclimatise to the climate. Visa : Visa requirements differ between countries. Please research in advance prior to making travel arrangements.